Hunger doesn’t go away just because it’s summer break – it affects families all year round. Food Bank for the Heartland established Strike Out Hunger as a unique way to rally the community and help people who are going through a tough time, especially during the summer months when school programs are not in operation. 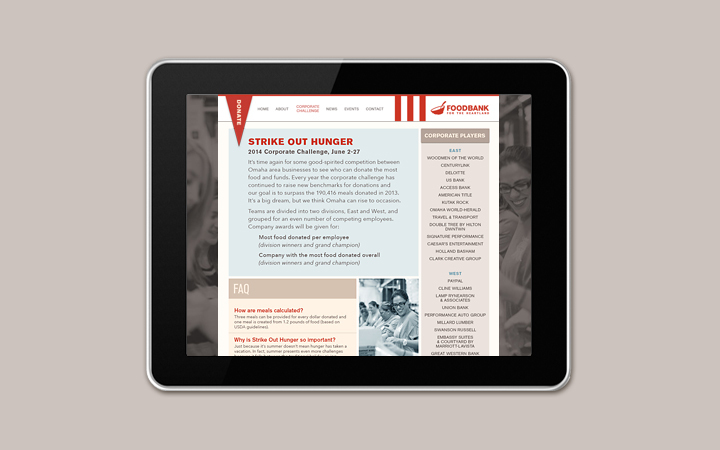 With a goal of raising more than 300,000 donated meals, a website was needed to facilitate the campaign and provide resources for both corporate and individual donors. 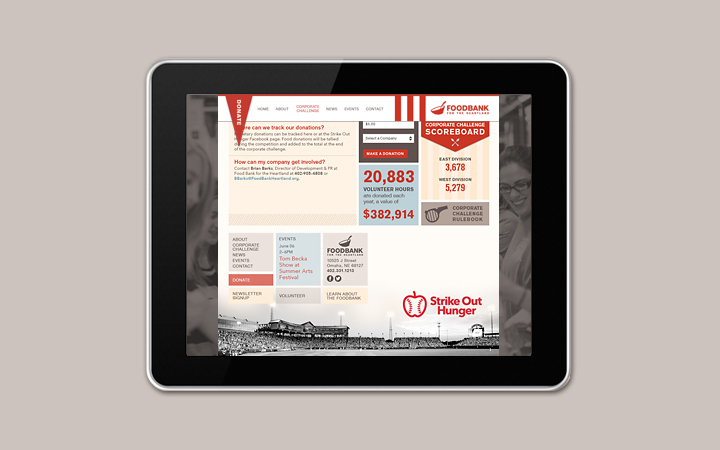 Swanson Russell developed the Strike Out Hunger integrated campaign, then called on Wheelhouse to design a website, based on that campaign, that could be used as a resource and a hub for donors throughout the six-week donation drive. 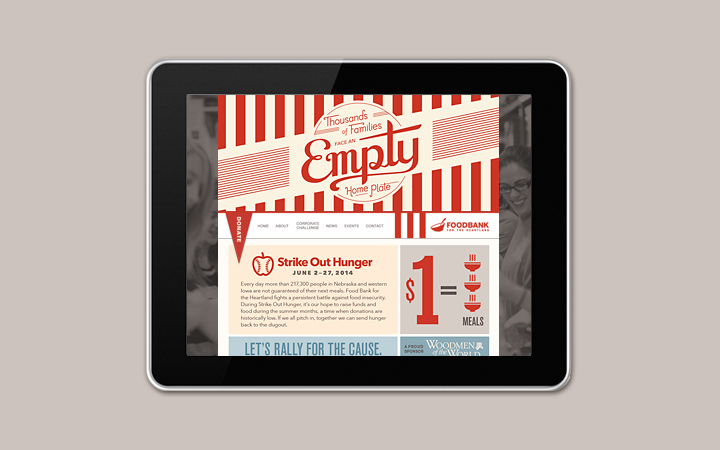 With a tight budget and timeframe, we needed to create something that would be easy to use for donors and Food Bank employees alike, encourage users to donate and that would be able to adapt and evolve with the campaign from year to year. 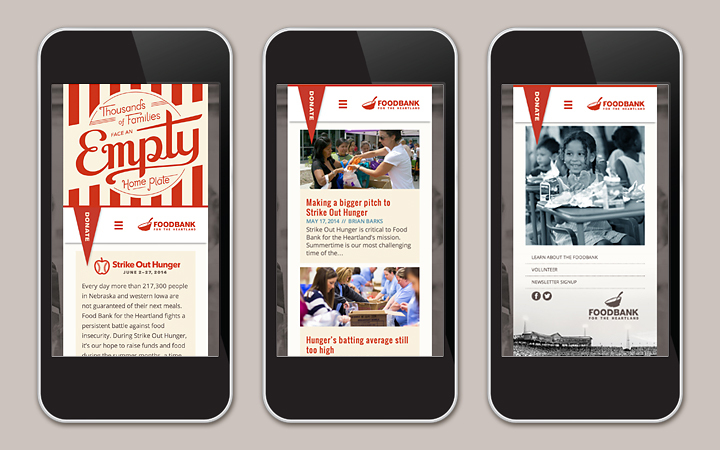 Working in collaboration with the team at Swanson Russell and Food Bank for the Heartland, we built on the print concepts to create a responsive site that is cohesive to the campaign while presenting the user with an engaging and interactive experience. 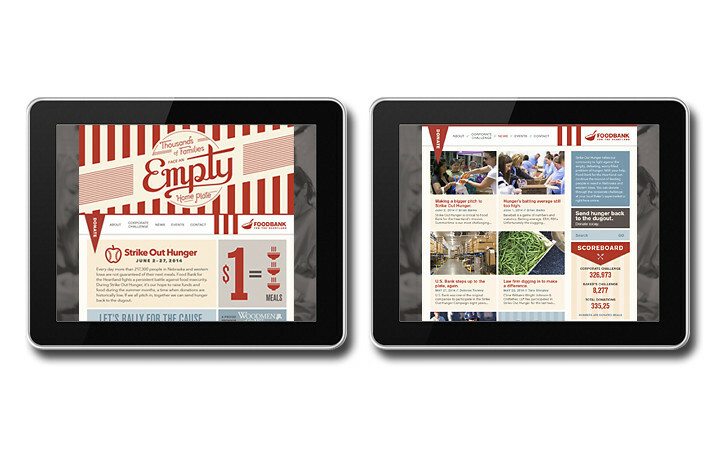 We chose a modular grid layout that provides multiple ways for users to access information. 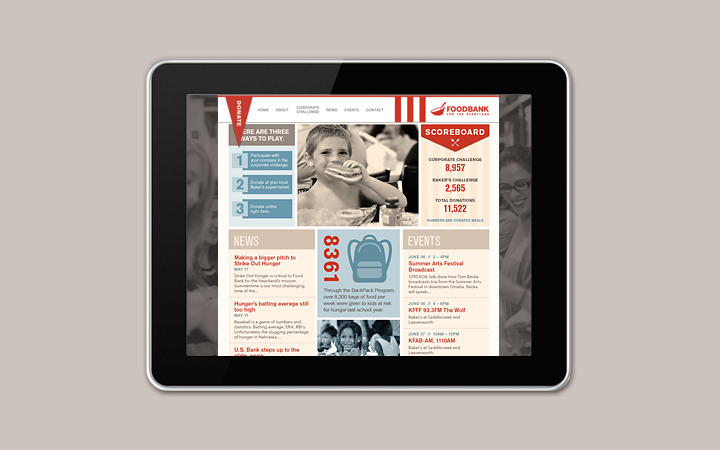 A large amount of vital content is disseminated through a combination of text areas, info graphics, and images – including a scoreboard that tracks donations and creates a friendly sense of competition between corporate sponsors and participating Baker’s locations. 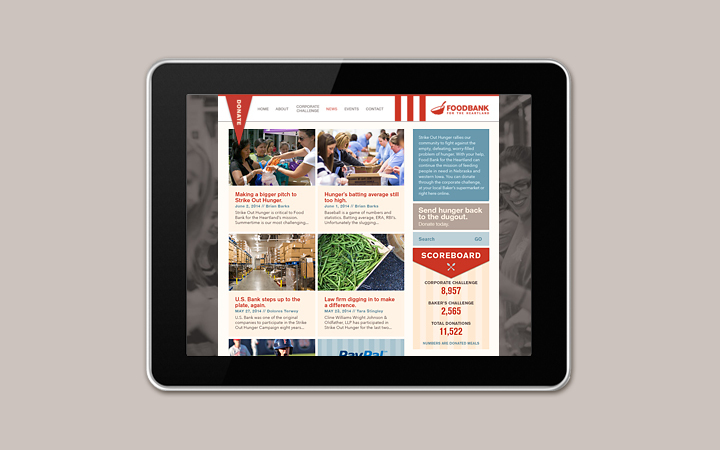 This format also allowed us to design most text elements on the site in such a way that they can be easily edited and maintained by Food Bank for the Heartland. In addition, to address the yearlong strategy, we updated the final content and imagery on the homepage to reflect the winning results from the campaign. This now serves to celebrate the winners, offer ways to donate year-round, and counts down the days until the next summer campaign begins. Success! The results are in, and nearly 350,000 meals were donated during this years campaign. That’s 154,000 meals over what was reached the year before.